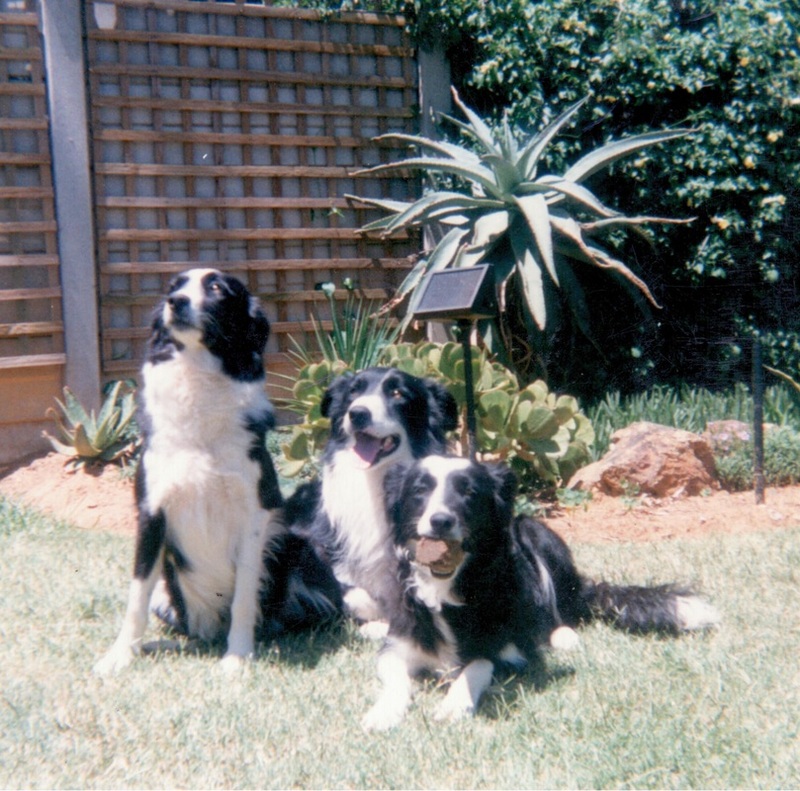 Nandi was the beginning of our love affair with border collies, the 7 week old pup we brought home from our friends' farm. 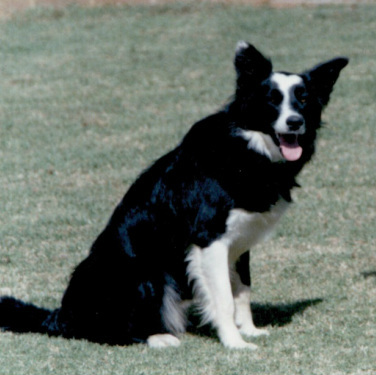 She was our first obedience dog, qualifying out of A Test, we competed in Dog Jumping, but her first love was sheep herding. 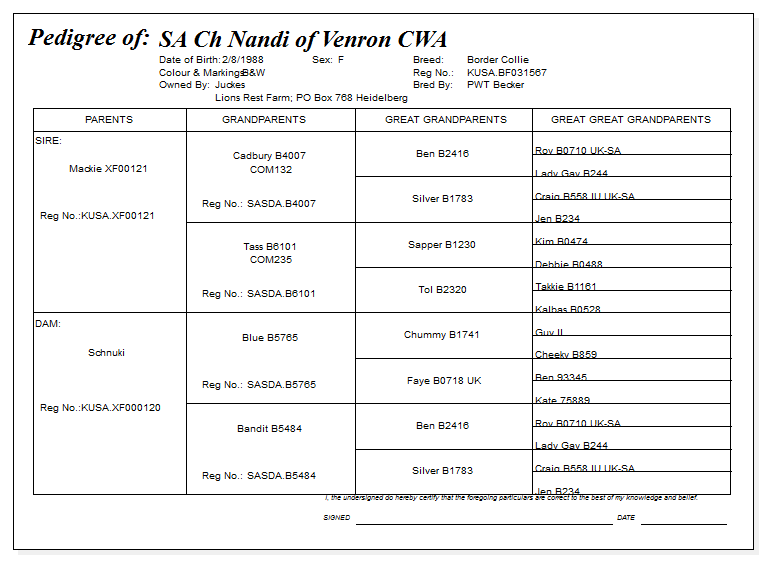 She obtained her Certificate of Working Ability (CWA 559) from SASDA in 1992, just prior to us moving to Lions Rest Farm. Once on the farm, she dedicated herself to her sheep, often going out at night to sleep near the sheep. She would work sheep for anyone, including the sheep thieves that plagued us at that time. Nandi taught us so much, we will be ever grateful to her. The 3 siblings. FLTR: Ch Thandi of Venron; Ch Biggles of Venron; Ch Nandi of Venron with the obligatory object in her mouth!